We just got back from Canoecopia last night. Its the biggest canoe/kayak show in the country and it was amazing. We were finally able to meet the wonderful people who have helped out our cause, including Molly from Duluth Pack and Joe from Holz Paddles. They donated our giant pink Duluth Pack and two beautiful handmade Holz paddles. Canoecopia was a great opportunity to get the word out and connect to the people who've helped us out. A big thanks to Rutabaga for putting on the show, and of course to all those who have donated, offered discounts, and helped support our cause! A few companies have donated gear for our trip. 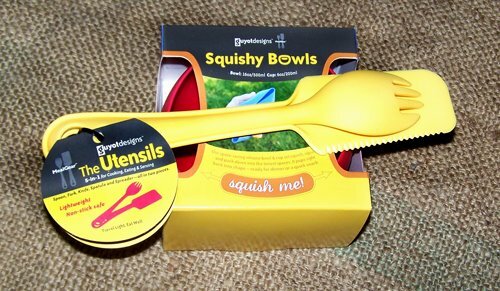 Guyot Designs sent us two sets of squishy bowls, cups, and utensils. 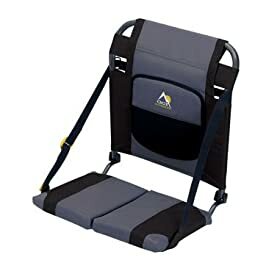 I've used them backpacking and they are awesome. GCI Outdoors sent us two canoe seats, which I tested and work very well. OtterBox sent us three of their largest boxes, waterproof to 100 feet and perfect for all our valuable stuff on the trip. Thanks for the donations! They'll be a huge help.